There are 7 posts filed in Civics (this is page 1 of 3). What if you could convene a conversation with people you have strongly disagreed with, or find it difficult to exchange facts with, people with whom you have been driven you to stridency and name-calling, and have Watson help keep that conversation on the right foot? What if Watson could ensure that the tone of this conversation remains dispassionate, its participants receptive, and its assertions verifiable in real-time? 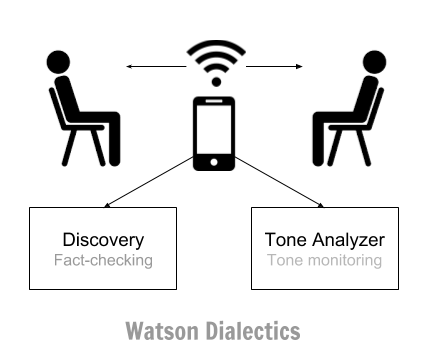 Two services, Watson Tone Analyzer and Watson Discovery, are the tone- and fact-checking engines, respectively, in a new application, Watson Dialectics, which monitors conversation in real-time through a mobile application and a microphone. If as you try to make your point your tone starts to overcook, Watson will stop the conversation and gently suggest a reframing, or a retreat back to the ground that had been coolly agreed upon. If your conversational partner says something like “50% of American males own fire-arms,” Watson will go verify this fact in the background and politely countermand if necessary. Human debate monitored and enhanced by artificial intelligence. Watson Dialectics also uses IBM’s Mobile First platform, speech-to-text, and a couple of other services to create a system for real conversation (as opposed to the Conversation service that developers use to build chatbots, that is to enable “conversation” between humans and software). It’d be great! 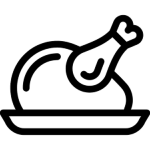 You could bring it along to your kids’ cafeteria Lincoln-Douglas competitors, to the water-cooler chat at work, or to that Thanksgiving dinner table.